A girl from a Carolina mill family isn't supposed to strive for a career, but Ada Shook graduates from college on a scholarship and lands a plum job as a school librarian. As the 1950s South rocks with turbulence, Ada finds herself caught in the ugly fight to integrate the Charlotte, NC public schools. At the same time, she makes friends with Cam Lively, a teacher who challenges her to reexamine her narrow upbringing. The two young women fall in love and throw in their lot together, despite their underlying fear of being found out and fired. Over seven decades, Ada is witness to the racism laced through her Southern city, the paradox of religion as both comfort and torment, and the survival networks created by gay people. Eleven interconnected stories cover the sweep of one woman's personal history as she reaches her own form of Southern womanhood - compassionate, resilient, principled, and lesbian. 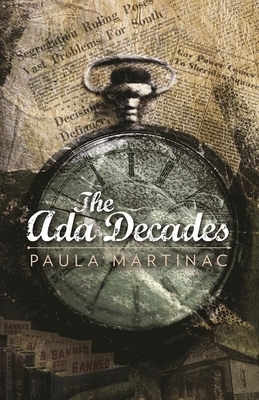 Paula Martinac is the author of four published novels and a collection of short stories. Her debut novel Out of Time won the 1990 Lambda Literary Award for Fiction. She has published three nonfiction books on lesbian and gay culture and politics as well as numerous articles, essays, and short stories. Also a playwright, her works have had productions with Pittsburgh Playwrights Theater Company, Manhattan Theatre Source, the Pittsburgh New Works Festival, No Name Players, and others. She teaches creative writing at the University of North Carolina at Charlotte. Paula Martinac is the author of three novels, including the Lambda Literary Award-winning Out of Time and the Lammy-nominated Home Movies. She has also written three nonfiction books, half a dozen short plays, a full-length play and hundreds of articles.